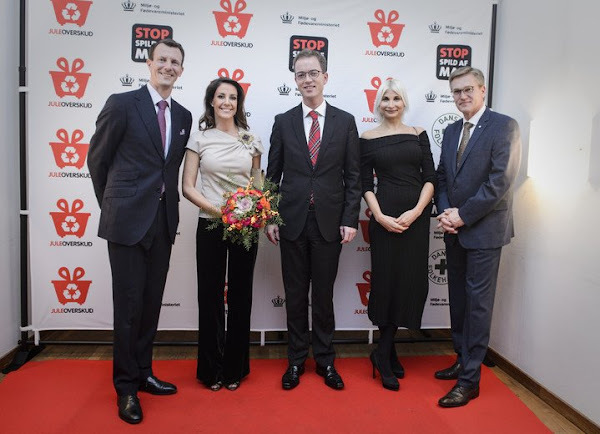 On November 23, 2016, Prince Joachim and Princess Marie of Denmark attended a charity dinner for the organization "Stop Wasting Food" (Stop Madspild) at the Borsen (The Stock Exchange Building) in Copenhagen, Denmark. 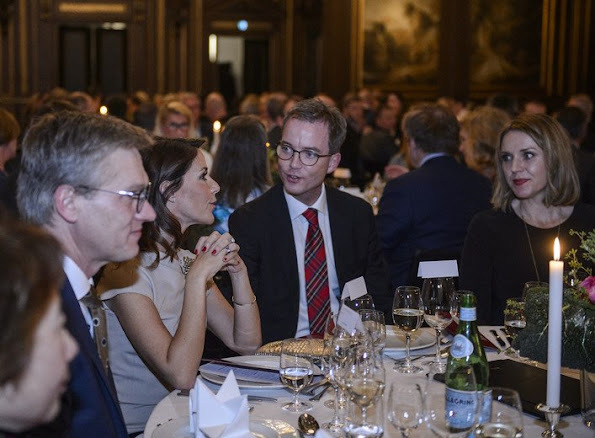 Did not someone here on this blog asked, what the danish princes do? Well, Joachim has heard the call. This is a lovely top on Marie. That was me. Thank you. 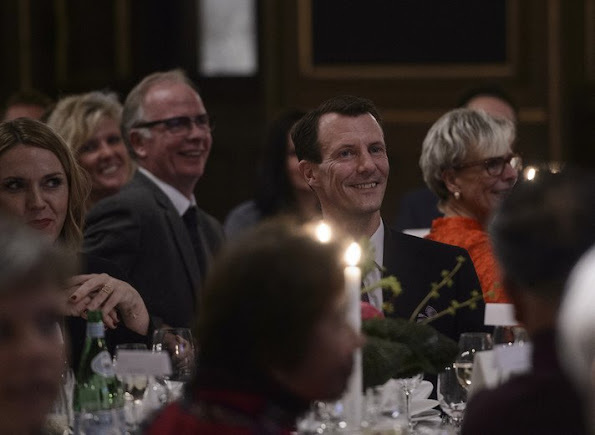 Prince J doesn't work so very often and the Danish people discuss that a lot. I think this looks too sporty for a charity dinner. Too much like a t-shirt and yoga pants. This was not a glamour charity dinner. I agree her top is ill- fitting! Poor choice for the top, but a good color for her. A dress or even a evening jumpsuit could have been a better choice.